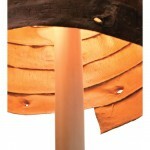 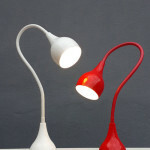 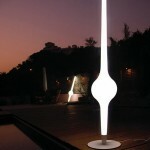 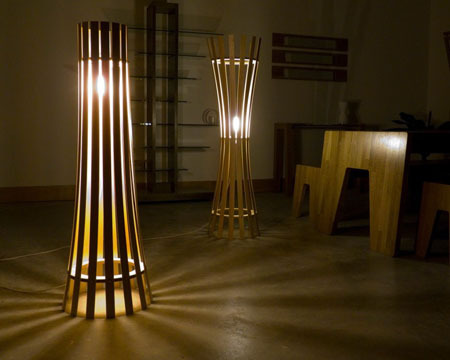 Floor lamps are not all made of metal but are of wood as well. 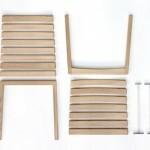 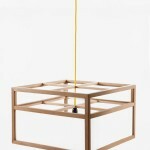 Irish designer Davin Larkin of Kooyong Design has created the stylish and elegant floor lamp made of wood. 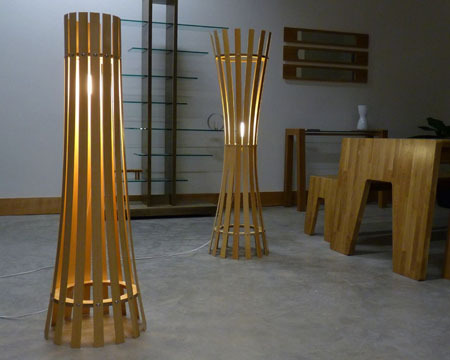 The wooden floor lamp has the elegant look that will surely create a natural yet modern ambiance to any contemporary homes today. 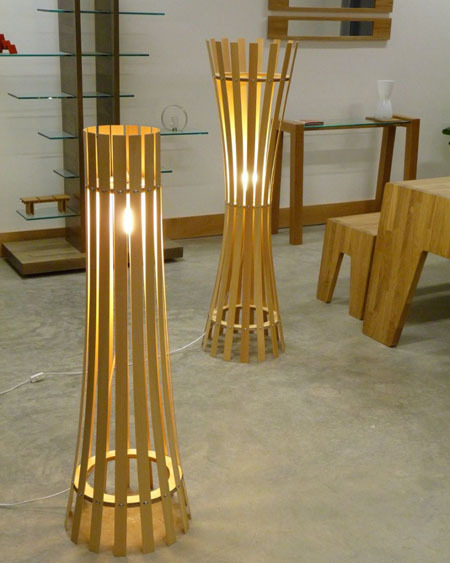 With the wood slats surrounding the lamp, the floor lamp was able to create a candle light mood in a room. 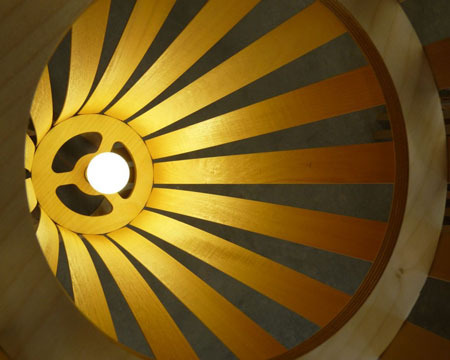 Users can have the bulb for the wooden lamp install in either standing or upside down position and both has the ability to provide elegant and warm illumination.